Gosh, what a touching story and what a great friend you are. The quilt is beautiful. Thank you for sharing and recording this lovely story, Jane! I won't lie- it was moving and brought a tear to m'eye! How wonderful to hear of something so beautifully human as your shared quilt therapy sessions! Oh Jane, what a special special thing this is. What a beautiful idea - I can't help but feel so overwhelmed by it. It's a beautiful quilt and a lovely way to remember a person. Beautiful and just so touching. Berni is an inspiration and you are a marvellous friend. This is a wonderful and beautiful quilt. That is just so lovely. The best quilts are those that contain memories and somehow tell a story, Bernie's does just that! Beautiful. What a wonderful idea and a wonderful quilt. How lovely, and also poignant. The finished quilt is simply beautiful and a credit to you both. This is such a beautiful quilt and the idea behind it is lovely. I am so impressed with the attention to detail and care that went in to this quilt, Berni really put herself into this project! Thank you for sharing such a beautiful story. Love is enduring and eternal. Bernie is a lovely sister and you are a wonderful friend. This is such a beautiful post and concept, thank you for sharing. What a lovely idea. The finished quilt looks great and is such an amazing and most personal heirloom. What a beautiful and touching story. I love this idea. It's a wonderful way to hold dear to memories. This is amazing. So moving, so unique, and what a great way to help your friend through her grieving process. What a lovely story! And what a nice way to remember her brother. Really touching. Thank you for sharing this special project. How wonderful that sewing can be used to create an item with precious memories. Lovely quilt and great story! Thanks for sharing. What a lovely project for your friend to undertake - such a special piece of work. Considering she couldn't really sew before the finished product is amazing (though it'd still be amazing if she could sew too of course). I can't imagine making a quilt as they are so large & time consuming. Gosh, this post brought a tear to my eye! It's such a wonderful story, and a beautiful quilt. You are a star for helping your friend, and Berni is amazing for making this. I am in awe of her, especially because this is her first project, and one she will treasure for ever. Such an emotional journey. Much love to Berni and thank you for sharing this. This is such a heartwarming story out of a sad time. Quilts provide comfort and this one is amazing in every way! I love that the pockets were used - shows that the fabric was actually shirts and given that he would only wear shirts with pockets it would have seemed a shame not to include them! Beautiful story. I finished it in time to give to my niece (my late sister's daughter) just before her wedding. This is incredibly beautiful, it actually made me tear up. All the best to Berni. It looks like she found a wonderful way to cope with this loss. What a lovely idea and beautiful quilt. What a beautiful thing to do and achieve. You've touched my heart. How wonderful ! A really touching tribute. What a beautiful and moving story. Jane, you really are the best friend any person could ask for. Beautifully told, too. I love the pocket and label details. Burst into tears. Such a beautiful but also sad story. I'm glad you helped her through it. I don't think she could have done it alone. Such a wonderful story, and well done to Berni because it looks amazing. Jane what a wonderful post and a fabulous quilt which will mean so much to the lady and all her family. Well done on helping her, she did a fabulous job of it. What a beautiful remembrance of her brother! This is so touching Jane, thanks for sharing. 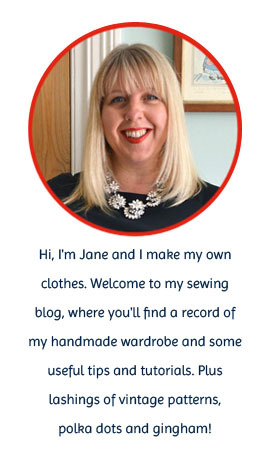 I'm moved to tears Jane, what a beautiful thing you've done for a friend. The guidance and support you gave her enabled her to create such a special keepsake and memory of her beloved brother. And Berni's determination and strength are truly admirable. The quilt is just lovely! Good job. I am proud of her work! Thank you for posting the story of this lovely quilt. Not only is it beautiful, but it represents the love of a sister for a lost brother, and a caring friend willing to share and grieve with her. Very nicely done!